Looking for fast, reliable commercial waste removal Leytonstone at a competitive price? You’ve certainly come to the right place. 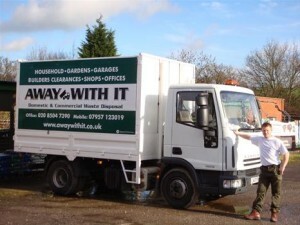 We’ve been providing commercial waste removal Leytonstone businesses trust and recommend for over a decade. They love our flexible, reliable service and low prices and we’re sure you will too! Give us a call for a friendly, no obligation chat. We can arrange same day services, discounted contracts for regular business users, a regular pick-up or one-off collections. One of our professional, friendly team members will be with you in a flash to give you a free estimate. We strive to do the best job possible while helping our business clients stay well within their budget. Pay the money for a one-off job and we’ll remove your commercial waste there and then. Alternatively we can make arrangements for a regular service. All types of commercial waste . . . need something more specific? Okay . . .
Hotels – bag and sacks, food waste, bottles, furniture – if you’ve got it and you don’t want it we’ll take it. So you see, we are busy helping a large variety of businesses in Leytonstone E11 with their commercial waste removal needs and we can help you too. Our services are available from 7am to 11.30pm 7 days a week so early morning, late night and weekend collections are never a problem. You can either arrange a regular collection or use our on-demand wait and load service (in most cases we can collect the same day you book). Jobs are booked in two hourly slots so you’ll know when to expect us. Our smart, uniformed operatives will clean up your premises after the work is completed. 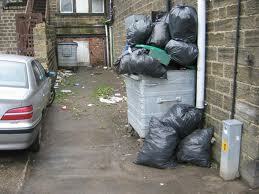 We charge on the basis of the amount of waste collected. Our rates are fully inclusive of all labour, transport and disposal fees so there won’t be any nasty surprises when the job is done. 80% of the commercial waste we collect will be re-used or recycled. To discuss your requirements for commercial waste removal Leytonstone just give us a call on 0208 504 7390 or 07957 123019. Our experienced team are available to take your call from 7am to 11.30pm. They’ll go through everything with you in fine detail and explain your options and how our pricing structure works. They’ll also give you a competitive, no obligation quote. Alternatively, you can use our online enquiry form to get a fast quote. Just submit your details and we’ll get back to you the same day. For more information about how our commercial waste removal service can help your Leytonstone E11 business give us a call on 0208 504 7390 or 07957 123019, or head over to our handy online form for a fast, no obligation quote.